Home Articles Clench Your Jaw and Have a Headache! A common saying goes like this: ”I grit my teeth and put up with it” or ”She gnashed her teeth in frustration.” In many cases this could be exchanged by ”Grit your teeth and have a headache!” Many people unwittingly have tight jaw muscles and often headaches are caused by something as simple as jaw tensions. In today’s stressing everyday life more and more people have good reasons to “grit their teeth and keep going”. 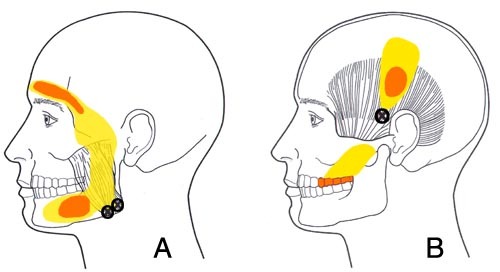 In many cases this leads to chronic tensions in the masticatory muscles (mainly Masseter and Temporalis). When you see a client with recurring headaches, it is always a good idea to ask about tensions in this area and other jaw problems. Even if they reply negatively, try to palpate the muscles while the person is opening and closing the mouth. 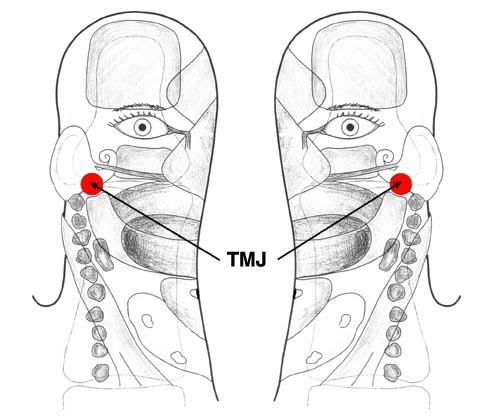 Many will be surprised to find their chewing muscles to be quite sore and to realise how restricted their temporomandibular joint (TMJ) may be. If jaw tensions are only found in one side, they could be caused by present or past teeth problems, but could also indicate a pattern of compensation for a structural problem somewhere else in the body. This could be further investigated in several ways, a detailed description being beyond the scope of this article, but do try to test the Psoas muscle. If it is clearly tighter in one side you already have a good clue to get you started. (See how to test the Psoas in the article Round about: The Psoas muscle. In order to treat and relax the masticatory muscles it is a good idea to include the other large joints in the body. 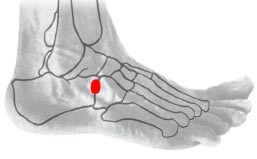 Ask about and assess tensions/problems in the ankle, knee area and hips. Continue up via the shoulder joint, ventral and dorsal shoulder girdle and the neck. The Sternocleidomastoid muscle (SCM) attaches close to the TMJ and is often tense and important to include in the treatment. Finally, massage the jaw muscles including trigger points and treat the TMJ reflexes. See illustrations. In addition to reflexology treatment it is valuable to assign homework in the form of stretching exercises. Ask the person to do yawning exercises twice daily. The stretching should stay below the pain threshold. If it hurts the muscle will block and the exercise will not help. Exploring the connections between jaw tensions and headache is part of the Touchpoint workshop "Round about: Headache and Migraine". This is rewarding to work with and often a very simple way to get rid of long lasting headaches.